Next generation training tool for Boxing, Martial Arts, and Fitness. 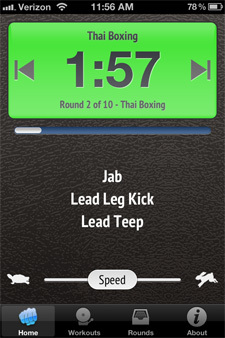 Fight Trainer for iPhone, iPad, and iPod Touch. Get a great workout, whether you're a total beginner or a pro fighter. Comes with preset rounds and workouts so you can get started right away. No special equipment needed. 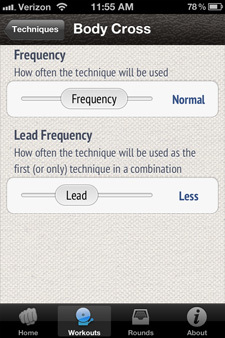 Fight Trainer uses a "fuzzy" randomization engine to give you a different set of techniques each time you run a workout. Fight Trainer is highly configurable, ambidextrous, and not specific to any style or art. It's like having a personal fight trainer that never gets tired! Build your own rounds and workouts tailored to your individual goals and needs. 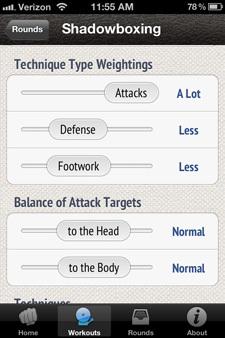 Adjust the balance between attack types, defense, footwork, and exercises. 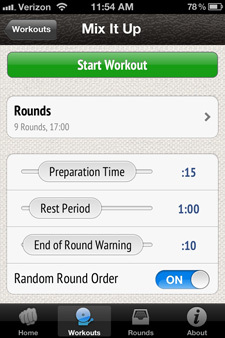 Full featured round timer is great for interval training. 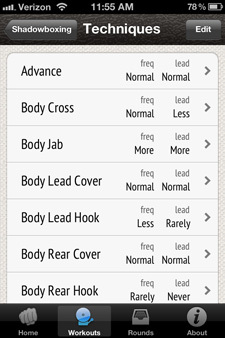 Adjustable preparation, round, warning and rest periods with visual and audio alerts. Integrated with your iTunes library, so you can work out to your favorite playlist.